This may come as a surprise to those of you who have been part of our journey for the last few years, but when Adam and I booked our cruise to Antarctica in 2016, we did so without having any confirmation about where we would go or what we would do once we got there. It was the longest, most expensive itinerary upon which we have ever embarked, and the only thing we knew for sure is that our Quark Expeditions cruise ship, the Ocean Diamond, would depart from Ushuaia, Argentina before traversing the Drake Passage and ultimately arriving at the frozen continent. It seemed counterintuitive even to us; after all, for the time and financial commitment involved you would think we would meticulously plan every last detail of the trip to ensure it lived up to our expectations. 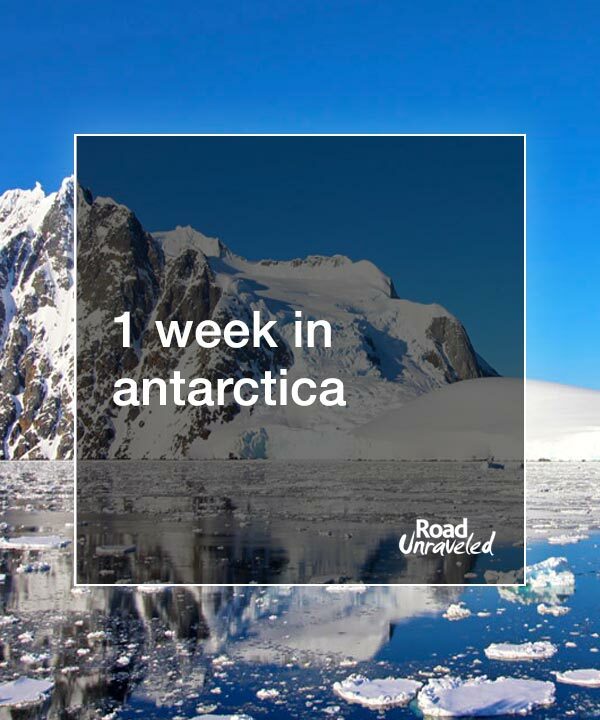 Antarctica did live up to our expectations—quickly and decisively surpassed them, in fact—but we rapidly learned it’s not the individual that controls the itinerary. The continent dictates where you will go, what you will see, what options will be available to you, and what will remain hidden during your visit. When you consider that even the Drake Passage—Antarctica’s moody gatekeeper—is unpredictable at best, it’s surprisingly easy to give up control and instead eagerly wait to see what your individual journey will offer. Adam and I hoped for a few selfies with penguins and a stamp in our passports at Port Lockroy. We didn’t get either of those. What we got instead was so much better—so much more characteristic of Antarctica itself—that we ever could have imagined. 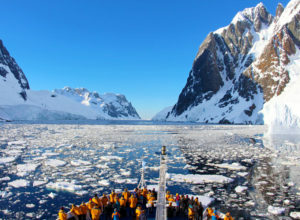 Antarctica appears on so many bucket lists for a reason: for some it’s a chance to set foot on all seven continents, and for others it’s an opportunity to experience one of the few places on Earth that is unspoiled by more typical tourism. Whatever the reason, it’s a place worth learning about and experiencing. 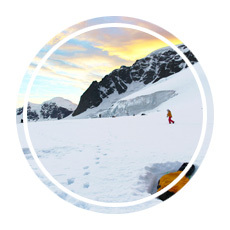 It’s a journey that will leave you in awe of and inspired by the planet we call home. Antarctica is a land of extremes. 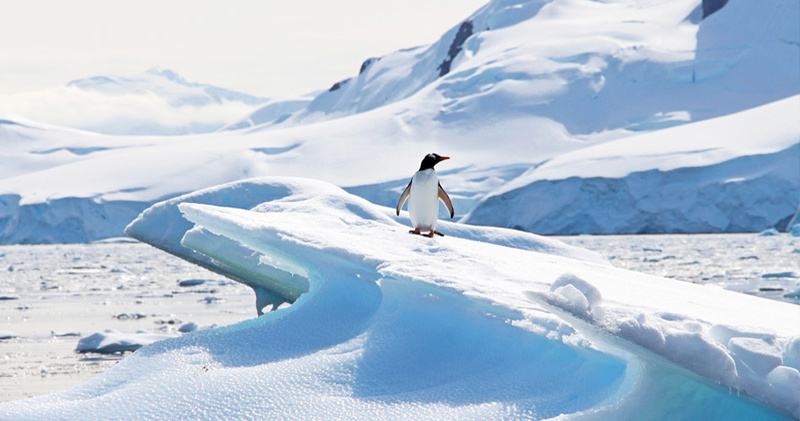 It is the coldest, the driest, and the most remote of the seven continents. It boasts both the most wind, the highest elevation, and the lowest population. It’s also the continent most recently explored by humans. There’s no evidence that it was ever home to a native human population, and while plenty of people speculated about its existence over the centuries it wasn’t formally documented until the early 1800s. 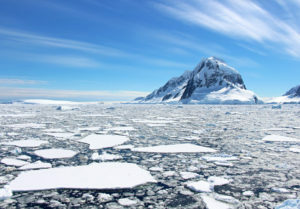 The first recorded crossing of the Antarctic Circle was by the famous British explorer Captain James Cook in the 1770s, but he never saw the actual continent. 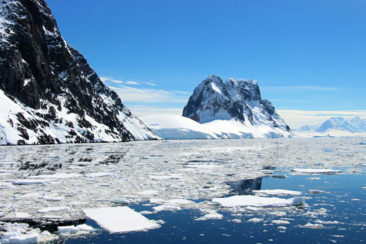 In the decades that followed, several expeditions reported seeing or landing on Antarctica, including American sailor Nathan Palmer’s reported sighting of the continent in 1820 and American John Davis’s reported landing at Hughes Bay in 1821. Mercator Cooper is often credited with the first documented continental landing in 1853, and after that it was a parade of brave explorers—including Robert Scott, Earnest Shackleton, and Roald Amundsen—who pressed further and further toward the magnetic pole at 90° south. 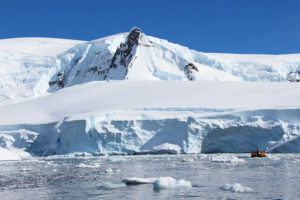 When you think about the fact humans first laid eyes on Antarctica only 200 years ago it’s remarkable that visiting such an isolated place as a tourist is possible. 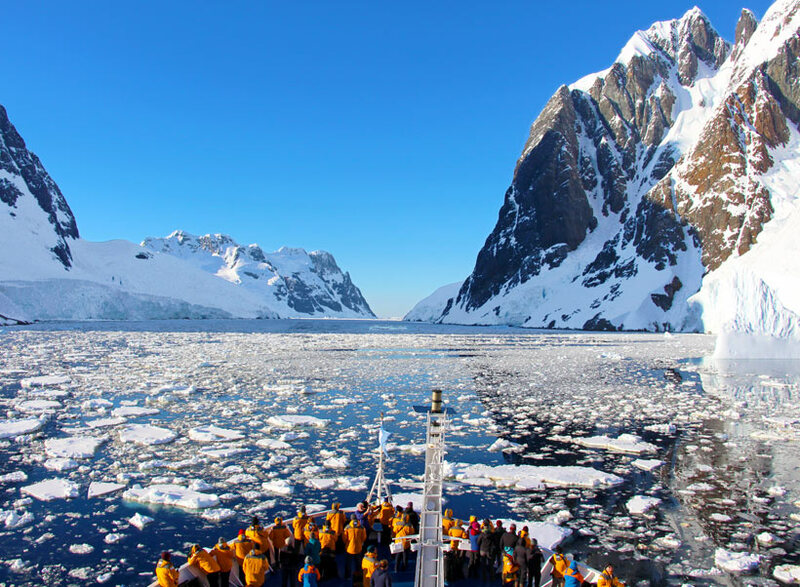 On the first day of our cruise, when Adam and I joined our fellow travelers for the first of many daily debrief sessions with our ship’s staff, our expedition leader Woody asked for a show of hands: how many people in the room had received an itinerary from our travel agents? I glanced around the room to find not a single hand went up, a relief to me since I had never seen a list of places we would visit, either. Woody laughed, noting there’s a reason for that; it’s just not possible to plan an itinerary months, weeks, or even days in advance. There are too many variables. Weather, ice coverage, and even wildlife sightings would factor into how we spent our time at sea. 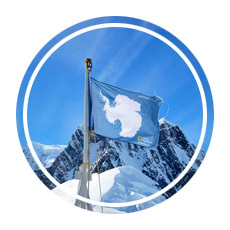 “It’s an expedition!” Woody told us, a statement greeted by warm laughter at the time, but ultimately that phrase would both guide our voyage and grant us the freedom to simply embrace what Antarctica gave to us each day. Our zodiacs in front of mountains and ice. Woody worked with the ship’s captain to chart a course to expose us to the scenery and animals most of us wanted to see, which meant we never knew what to expect more than a day in advance—and plans could change quickly when needed. Some days brought us bright, warm sunshine, and we would shed our parkas and walk around the outside decks in light sweaters. Other days found us racing in rubber boats called zodiacs through choppy waters as storm clouds rolled in and cold winds slashed at our cheeks. 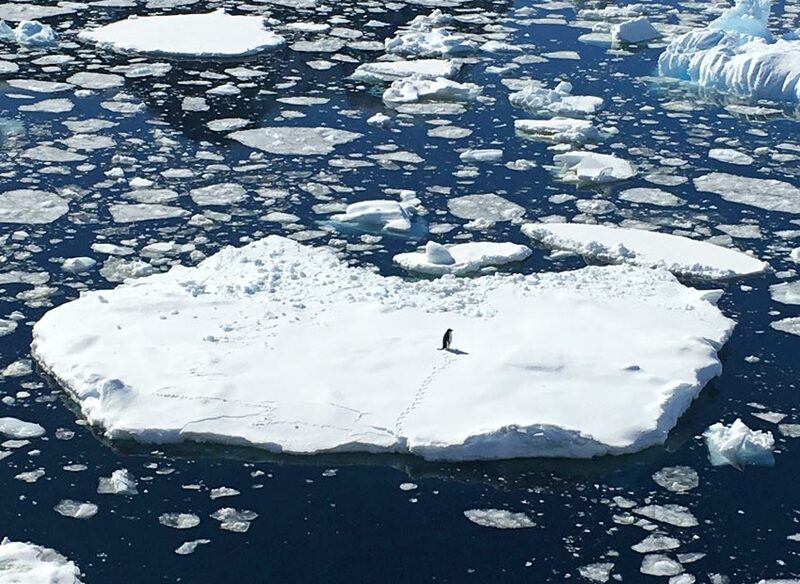 I often thought about an observation many people on the expedition team noted when talking about our daily plans: no matter how many times you visit, Antarctica is never the same. The continent can be gentle and welcoming, cold and cruel, or completely unexpected—often in the same trip. 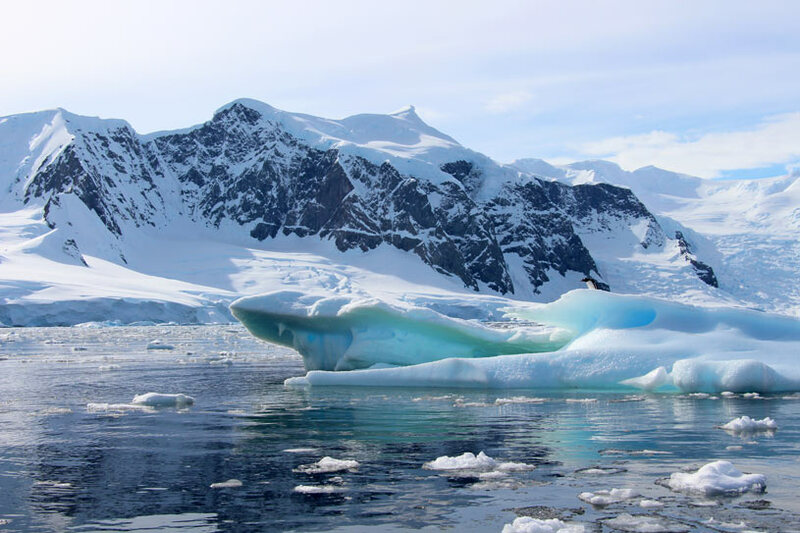 We didn’t know what our itinerary would look like when we arrived, but the itinerary Antarctica offered was perfectly balanced between stunning scenery, incredible wildlife, unpredictable weather, and opportunities to explore on the water and by foot. 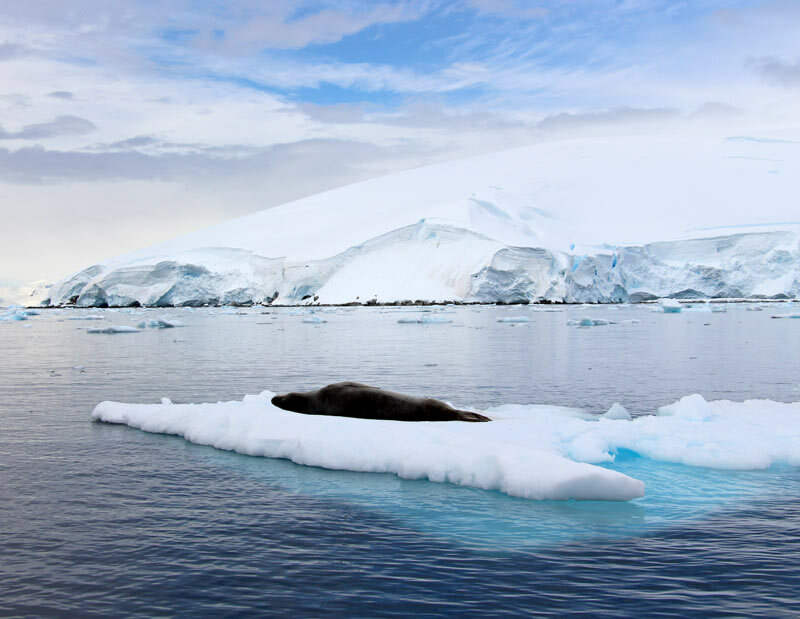 While our itinerary may not be representative of what every Antarctica cruise will offer, this is what we had the chance to experience during our visit. 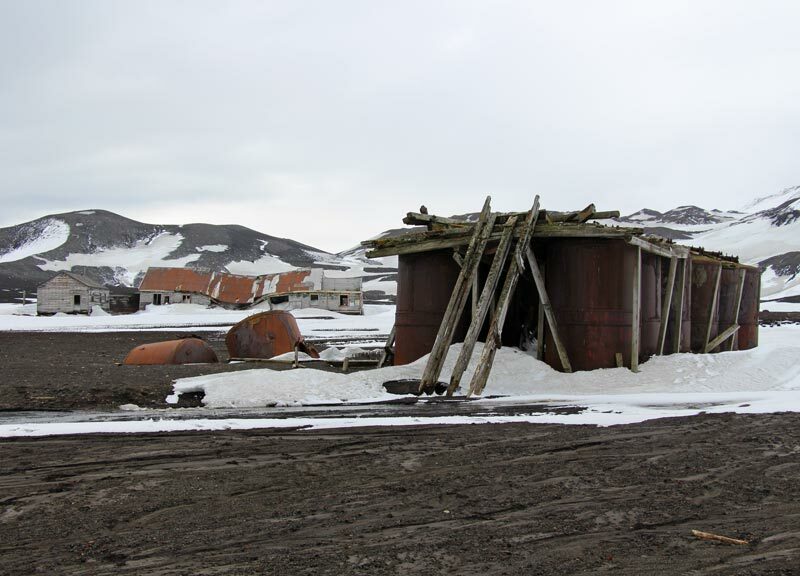 Just north of the continent of Antarctica we made our first stop in Whalers’ Bay at Deception Island. 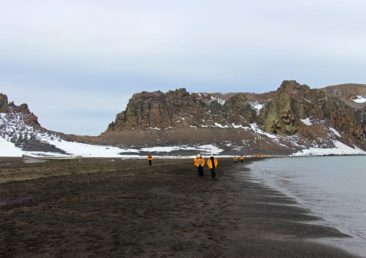 Deception Island is a wonderful first step toward the continent proper; in addition to the ice and snow I expected, I was surprised when I swung my legs over the side of the zodiac and stepped onto soft, black sand. Sulfur-scented steam rose from the ground, and I slipped my hand out of my glove and instinctively ran my fingers through the sand, finding it warm from volcanic activity below the surface. 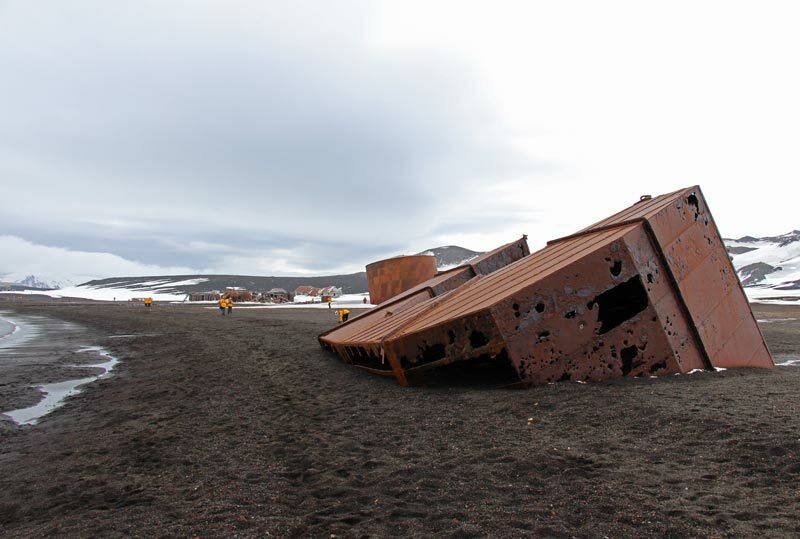 We had about 90 minutes to explore the island, and we started at the site of the former Norwegian Aktieselskabet Hektor whaling station and the British Antarctic Survey base, both of which were evacuated in 1967 following a volcanic eruption. Like a remote ghost town, abandoned buildings dot the landscape, including an empty aircraft hangar and a variety of dilapidated structures that once housed crews conducting meteorological and geological research. 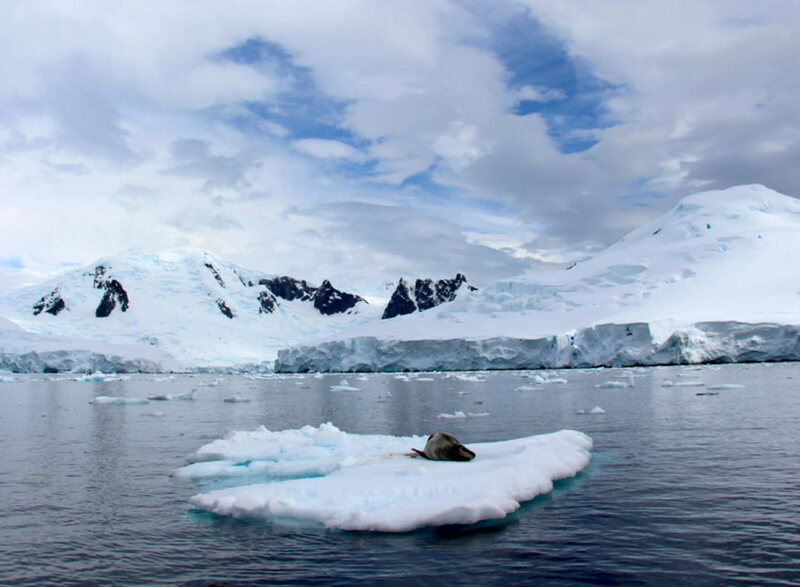 Not far from the whaling station we encountered our first Antarctic native, a sleepy Weddell seal whose stillness was interrupted only briefly when he stretched, washed his face, and rolled over before resuming his nap. 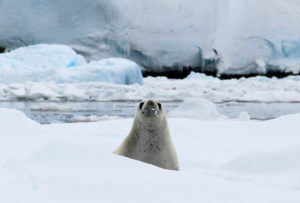 The seal captured our attention until the wind carried the loud screeching of a penguin colony to us, and we rushed to watch as several groups of Gentoo penguins teetered across the terrain as they emerged from the cold water and began their trek to their nesting site. 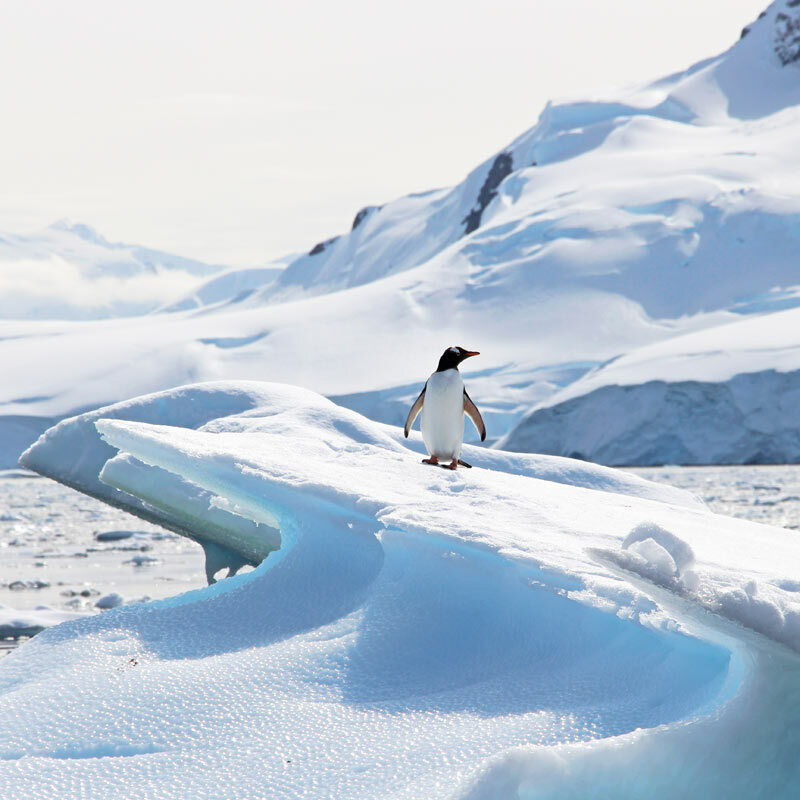 I stayed captivated by the penguins near the water as Adam climbed to Neptune’s Window, a scenic vantage point where he could see icebergs bobbing in the water. Our first glimpse of the continent proper came from Wilhelmina Bay, which was first discovered in the late 1800s by Adrian de Gerlache. 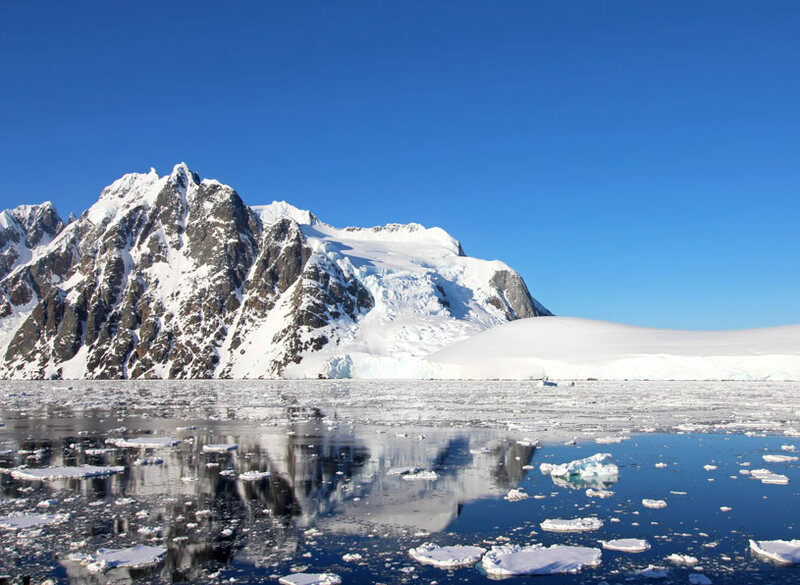 Surrounded by glistening glaciers and looming rock walls that only hinted at Antarctica’s surprisingly high elevation, we loaded into zodiacs and spent an hour exploring. Antarctica gave us a warm welcome. We cruised around Wilhelmina Bay under bright blue skies, and the air temperature was warm enough that I took my waterproof gloves off for the entire ride. The zodiac drifted past thousands of ice chunks that moved with the current. We admired how shockingly blue some of the ice appeared to be. 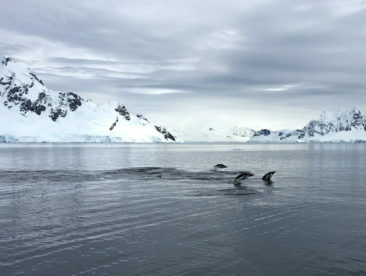 At one point, our zodiac guide turned the motor off and let us sit still for a few minutes, appreciating just how silent Antarctica is when absent of humans, boats, and camera shutters. On the way back to our ship we passed a large iceberg with a single penguin standing on top of it, surveying the landscape just as we were. 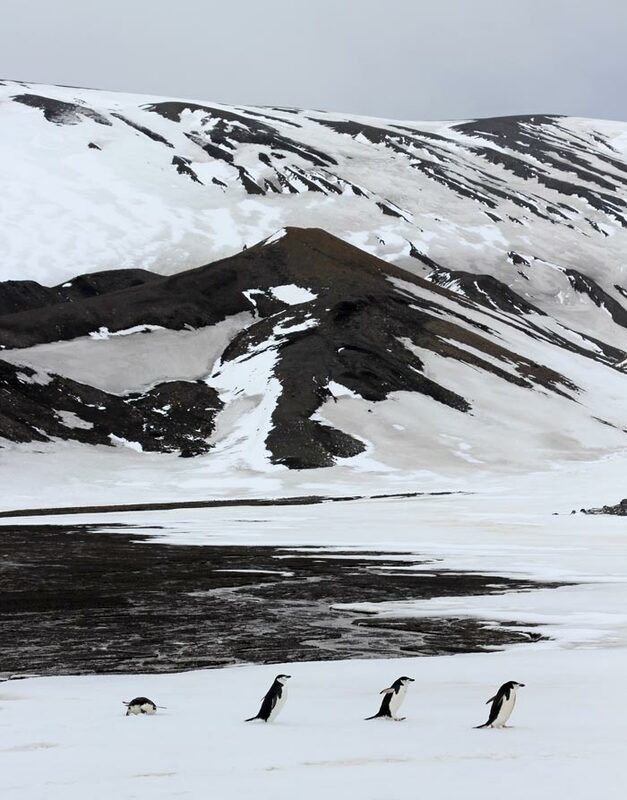 As we picked up speed, the curious tuxedoed ambassador toddled toward the edge of the iceberg as if to try to catch and join us for the rest of our visit. I felt a bit sorry to leave him behind. 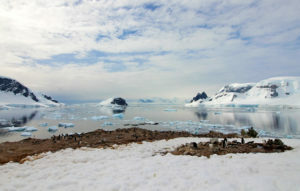 Not far from Wilhelmina Bay we set foot on Antarctica again, this time on Cuverville Island. 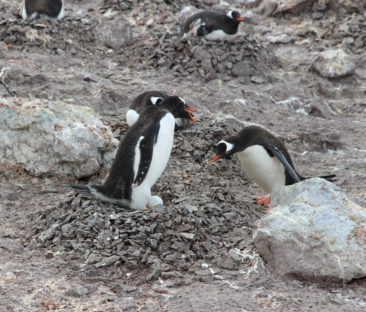 Also discovered by Adrian de Gerlache, Cuverville Island is home to the largest Gentoo penguin colony in the region. There are close to 10,000 breeding pairs of penguins on the island, and we saw hundreds of them in the small area we explored. We scouted out a location close to where many penguins were nesting to sit down and observe them. 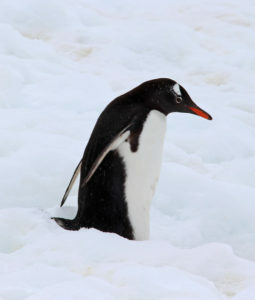 I found the Gentoo community to be fascinating. We watched the penguins interact with one another, throwing their heads back to emit a loud scream that was heard and understood by others in their vicinity. 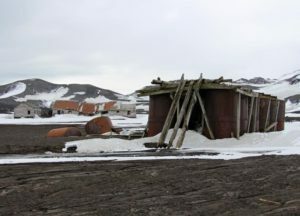 Many penguins lay down to keep their eggs warm and to protect them from the south polar skuas, large birds that we witnessed swooping down and stealing eggs to feast upon when they could catch one unattended. I especially loved watching the penguins traverse the “penguin highways,” trails carved into the ice and snow that serve as direct routes between nesting sites and feeding areas. I gained a bit of respect for the penguins, too. Although they are, for the most part, well-suited for the climate, their stubby legs make it difficult for them to move with grace or precision on land. We watched as they tripped, stumbled, and fell in their efforts to get to their destination. I wondered how evolution could have failed them in such a comical way. I was also grateful that they don’t fear humans; while few of them approached us, they didn’t seem bothered at all by our presence, and they would waddle within mere feet of us as if we were just some different, more brightly-colored yellow penguin species. 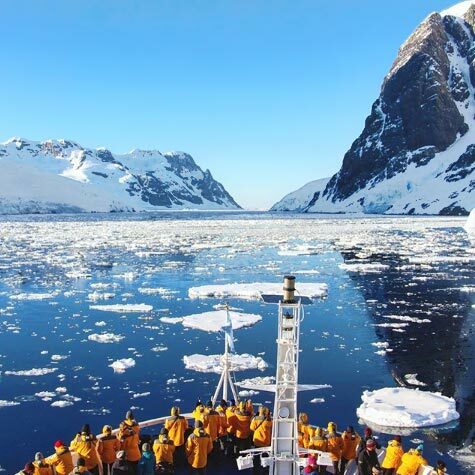 The Ocean Diamond entered the famed Lemaire Channel at 5:30 AM, an early wakeup call for all of us but certainly one we wouldn’t want to miss. 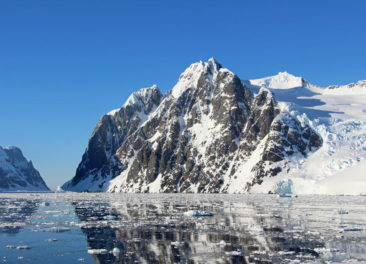 Yet another de Gerlache discovery, the Lemaire Channel is just seven miles long and between half a mile and one mile wide. As the ship navigated the icy waters I couldn’t help but feel like we were floating on glass; the channel was so clear and so still that it could have easily been mistaken for a window into the water. 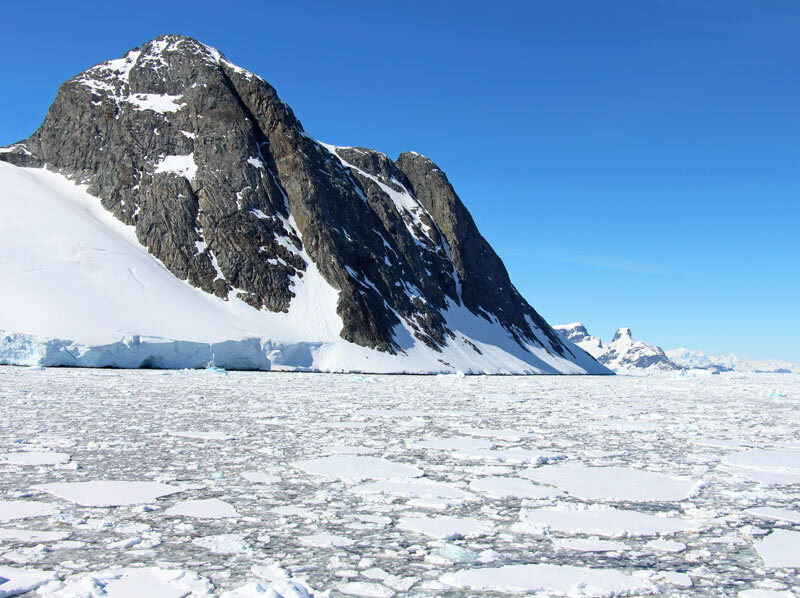 The Lemaire Channel was also full of ice; we crunched our way through smaller pieces as we avoided larger icebergs. 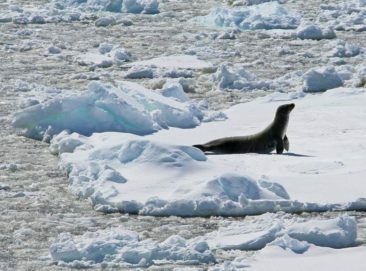 The ship glided by a Weddell seal sunning himself on an ice sheet, and not far away we watched as fifty penguins on a similar ice sheet collectively decided to jump back into the water in unison. 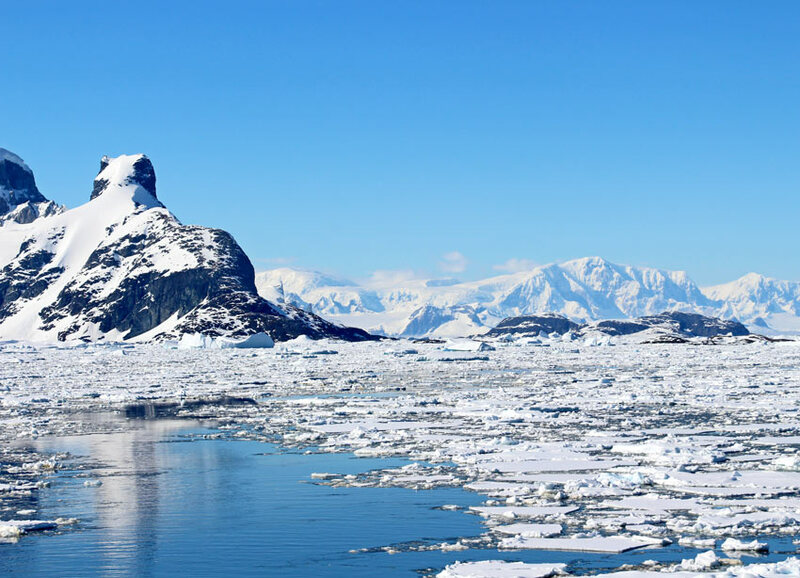 Set amongst the towering snow-capped peaks of Booth Island on one side and the continent itself on the other, we couldn’t believe how dramatic and spectacular the Lemaire Channel can be. We took to the water in zodiacs again to visit the Yalour Islands, which were discovered by France’s Jean-Baptiste Charcot’s expedition in the early 1900s. 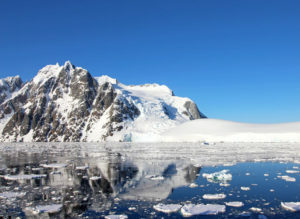 The excursion started as our previous zodiac expeditions had with blue skies and calm waters. 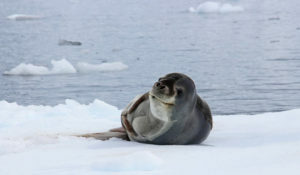 Before too long we were photographing a pair of sleepy Weddell seals relaxing on an ice sheet, admiring the effort it took for them to move their 1,000+ pound bodies as they slithered to find just the right spot. It was in the Penola Strait that we learned just how fickle Antarctica can be. The skies quickly and severely changed from blue to gray, and when the wind picked up even the Ocean Diamond had difficulty holding anchor as the zodiacs rushed to safely deliver us to the ship. 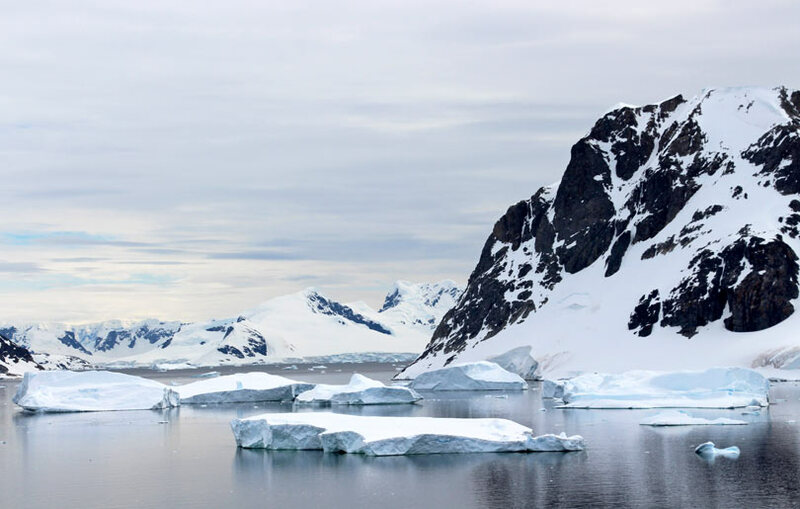 In a way it was a welcome change from the picture-perfect weather that we were almost used to enjoying; Antarctica is wild and untamed, and we had just a taste of it in the Penola Strait. Our first and only true continental landing came at the Almirante Brown Base in Paradise Harbour, a heavily glaciated area that houses an occasionally occupied Argentine base. Celebrating our new membership in the seven continent club! 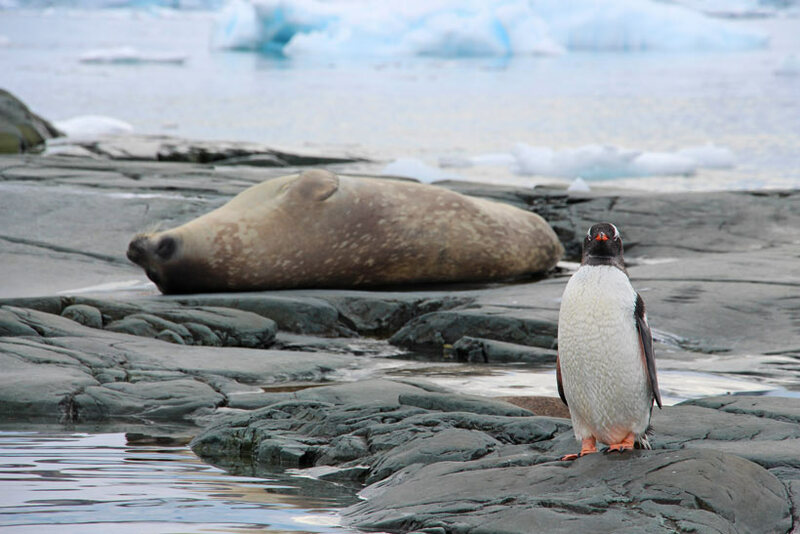 Our zodiac cruise of the area brought us close to some of the wildlife we hadn’t seen yet, including birds like Antarctic terns, cormorants, and Cape petrels that aren’t quite as beloved as the penguins but beautiful to watch just the same. 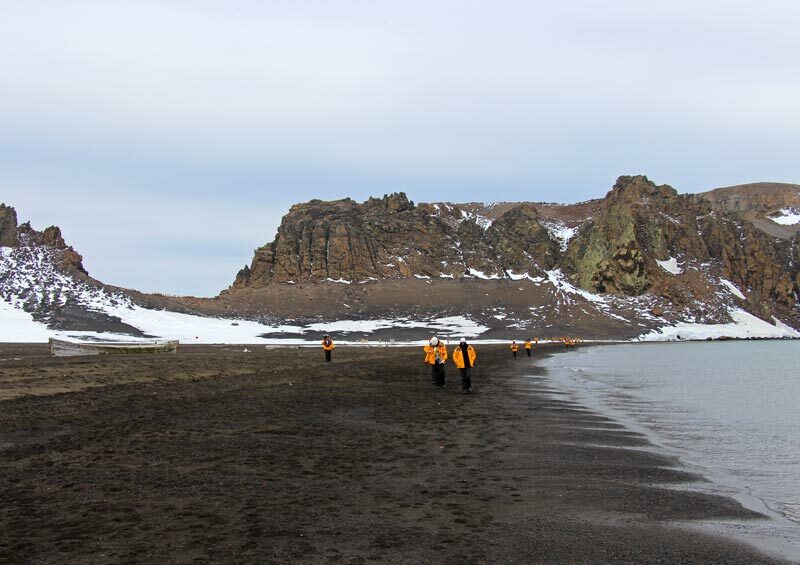 We also got a chance to understand more about the geology of Antarctica from our vantage point on the water. I especially liked the blue malachite peeking out of the snow-capped rocks. We also had a chance to watch penguins in the water. For as graceless as they may be on the ice, their agile swimming made me feel better about how evolution has treated them. 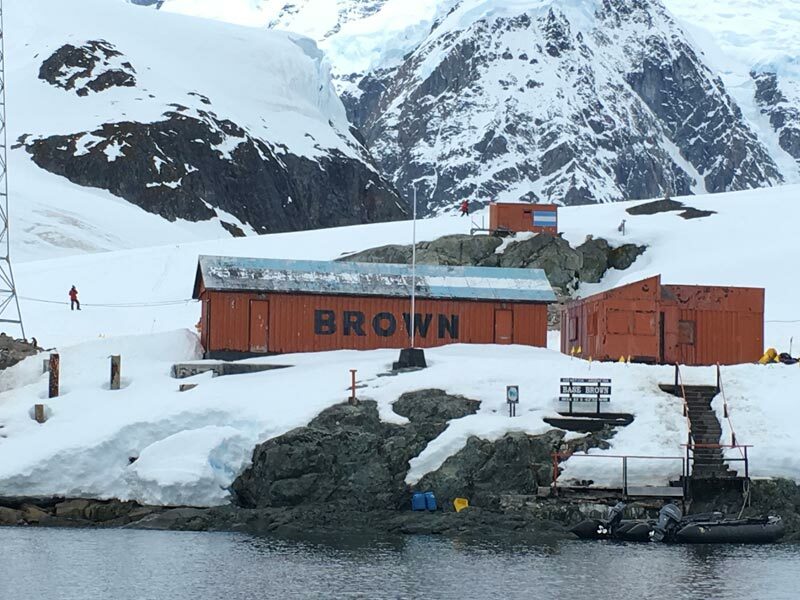 Brown Base itself was great and provided lovely views of the area, but for almost all of us the star of the show was standing on the continent itself. 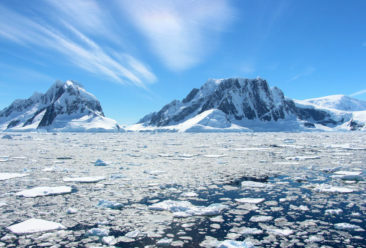 The excitement was palpable when we splashed into the water and walked over the rocks to the steps that led up to the base, then past the building to Antarctica. 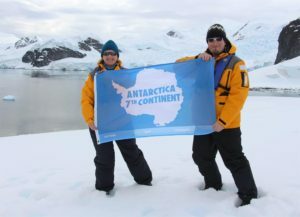 We spent a big part of our time taking photos to commemorate the moment we officially arrived at our seventh and final continent, including a few favorites of us with an Antarctica flag we bought in the Ocean Diamond’s Polar Boutique. It’s one of the moments we will remember with complete clarity for the rest of our lives. 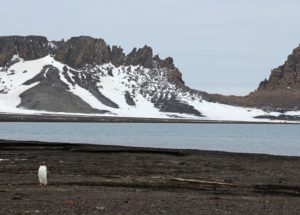 At the southern end of the Errera Channel we explored Danco Island, home to another Gentoo penguin colony as well as field work conducted as part of the British Antarctic Survey in the 1950s. The walk up to the best viewing spot on the island was steep and a bit unforgiving, and we were exhausted by the time we completed our journey to the top of the hill after regularly sinking into deep snow drifts. We relaxed (and cooled down) by staying stationary for most of the hour we had there, picking a spot right next to a huge group of penguins so we could observe them. I had to laugh when I watched one penguin narrow his eyes, toddle up to another penguin’s nest, and steal a pebble from it to take to his own mate’s nest. While the nesting penguin loudly protested the burglary, a third penguin wandered up and stole a pebble for himself. It looked a bit like bullying, and I realized no part of the animal kingdom is immune to drama. Our final Antarctica zodiac cruise took us through the Graham Passage, which was named by Captain Skidsmo after his whaling boat. We were hoping to find humpback whales, which we really hadn’t seen, and we were fortunate enough to track down a couple that were logging, an action similar to sleeping on the surface of the water. I was hoping we would see a few flukes—whale tails—but that didn’t seem like it was meant to be. We also had a chance to see a particularly photogenic leopard seal who seemed very curious about the visitors clad in bright yellow parkas circling his resting spot. 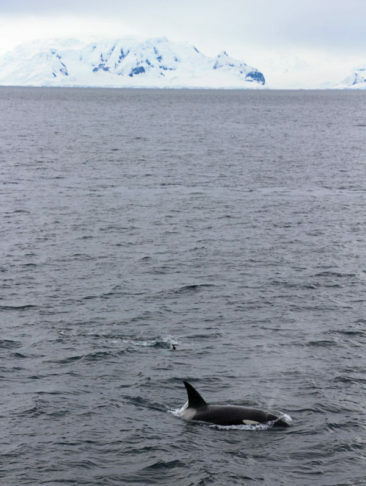 On our last day in Antarctic waters, north of the Lemaire Channel in the Southern Ocean, we had what would be the most incredible experience of the entire trip. As the Ocean Diamond began its trek back to the Drake Passage, we encountered an enormous pod of 40 to 50 humpback whales who had just arrived from warmer climates where they spent their winter. 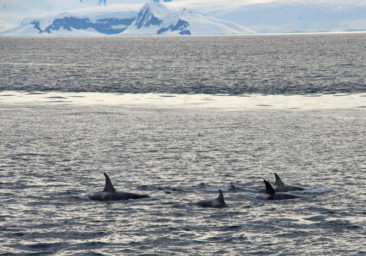 They hadn’t eaten in months, and for more than an hour we had the surprise privilege of watching the whales as they surfaced and dove to feast on the krill population in the water. There were so many of them—so many water spouts as they surfaced, so many flukes as they dove—that it was overwhelming. The pod surrounded our ship, and no matter where we looked we could see up to a dozen whales on the horizon and even beneath our ship. 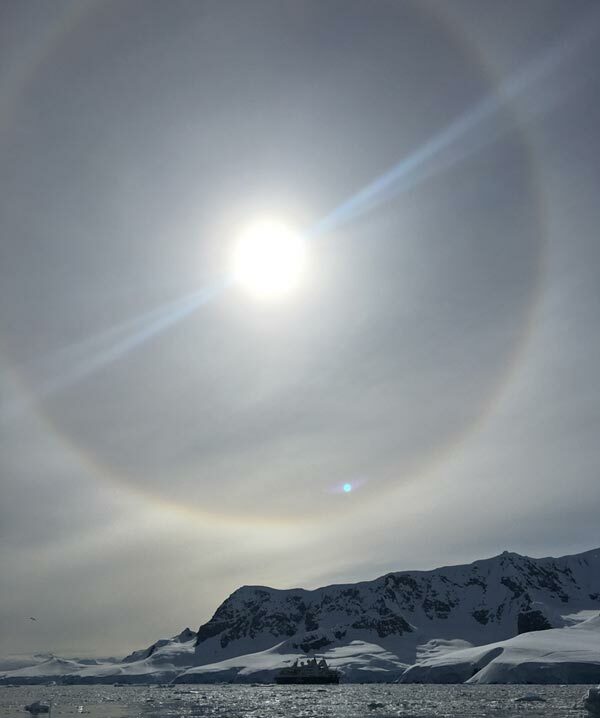 We couldn’t have imagined a better Antarctica sendoff from a continent that was always so full of surprises. 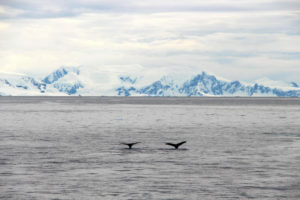 VIDEO: Humpback Whales surrounding our boat in Antarctica! That is, of course, until the orcas arrived. When about a dozen orcas—killer whales—emerged on the scene I wondered if this were somehow scripted. How could we be so lucky to witness two different types of whales in such close proximity? It wasn’t scripted, of course: we were just lucky. We watched again as the orcas expertly swam around and even under our boat in an attempt to separate a humpback calf from its mother, a big meal if they were successful. The orca weren’t successful while we were in the area, which is perhaps better for us as far as our memory of the event is concerned. 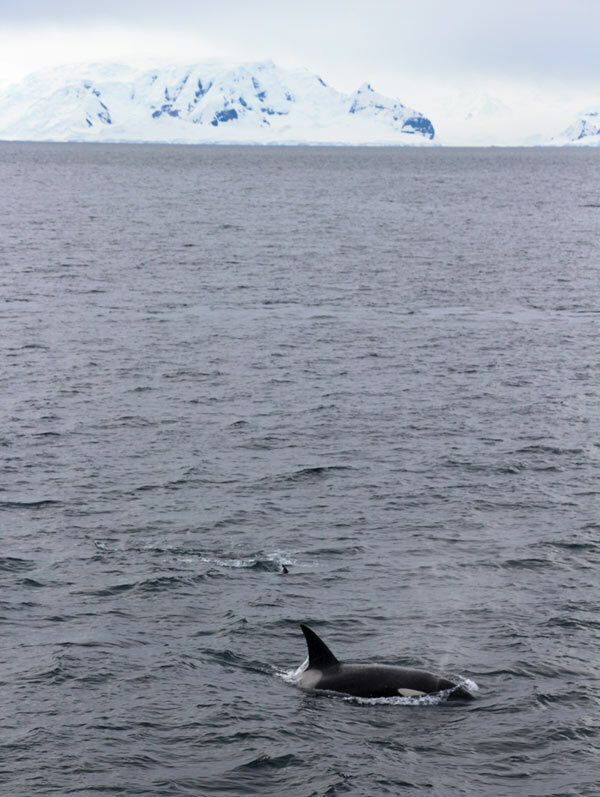 The 90 minutes we spent watching the whales from the ship’s deck are without question the most surprising gift Antarctica gave to us, and along with the moment we set foot on the continent it is the most memorable part of our trip. In that moment I was happier than ever that we didn’t have a concrete itinerary to follow. There’s no way we could have planned for our whale encounter, and it highlighted why expedition travel can be so exciting—and so gratifying. If you are thinking of an Antarctic adventure, your trip might look very different from ours. 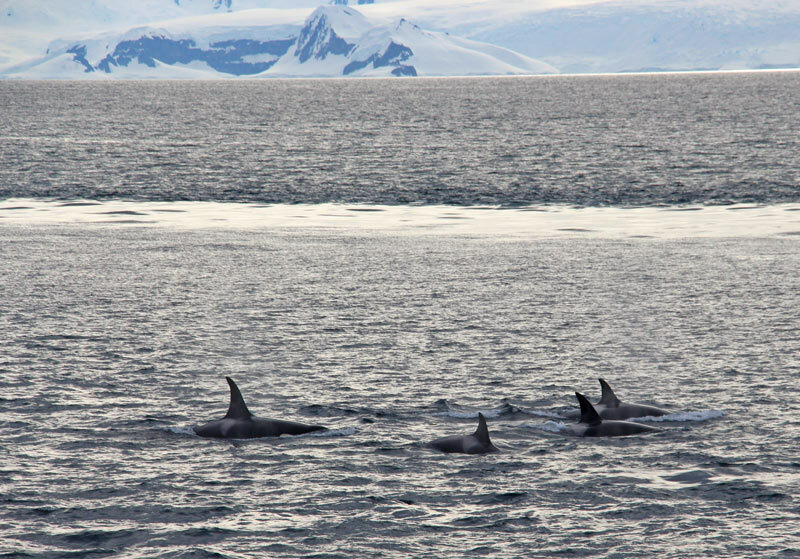 You might not encounter an enormous whale pod on your way back to the Drake Passage, and you may find the weather makes visiting certain locations easier or harder depending on when you arrive during the season. 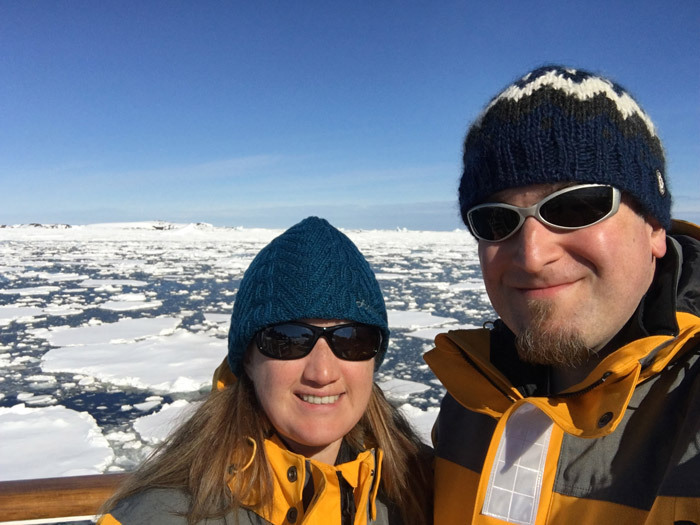 Adam and I put a lot of trust into our Quark Expeditions team, and they never once disappointed us. Woody and the Ocean Diamond’s captain Oleg plotted a careful journey that left plenty of room for changes based on the conditions and opportunities that arose. The rest of the expedition team shared so much enthusiasm for every location we explored that it was impossible to not share in it. 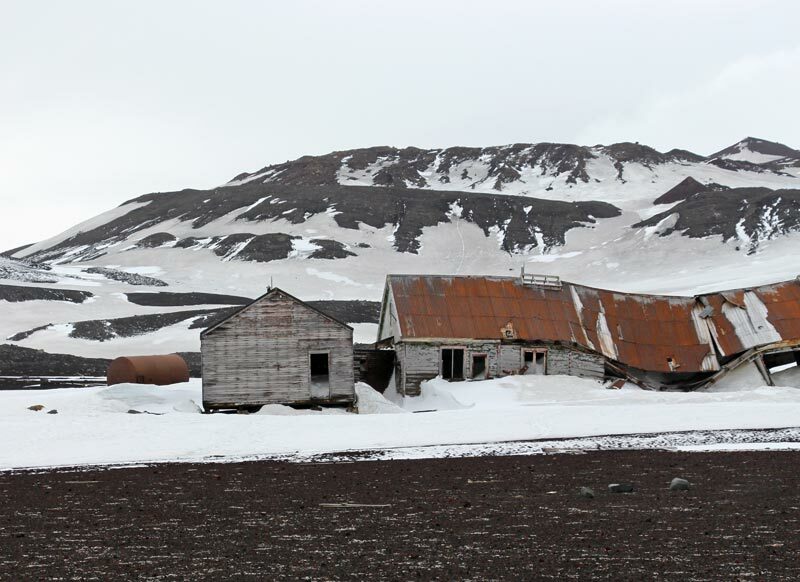 When it became clear we wouldn’t make it to Port Lockroy because the conditions weren’t suitable for a visit we weren’t disappointed at all. 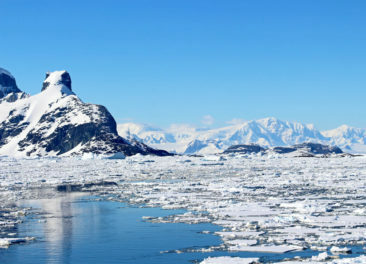 Sure, we wanted a passport stamp, but not at the expense of missing out on a penguin colony or another chance to glide past gorgeous icebergs. 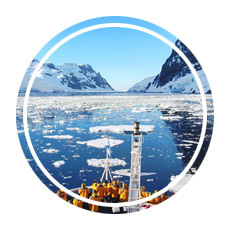 If you are wondering about the cruise experience itself, check out this post about the experience we had on Quark Expeditions’ Ocean Diamond! 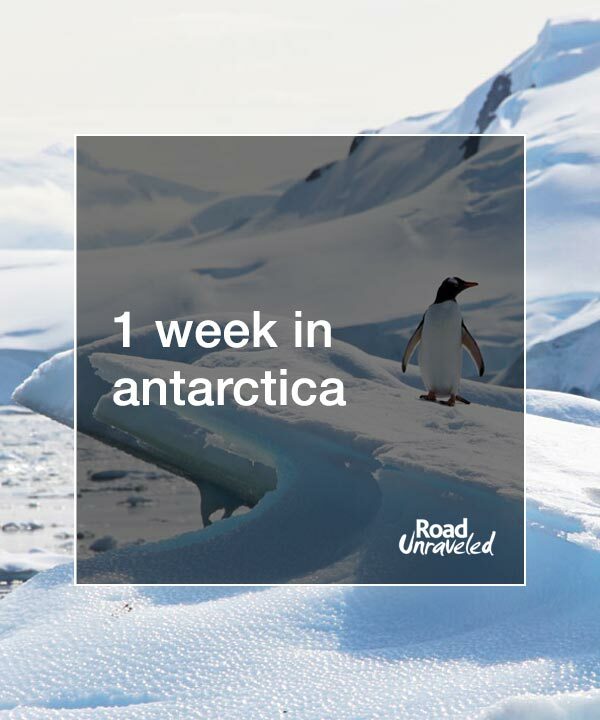 We’ll also have a third post next month that shares some tips for how you can plan your own Antarctica vacation of a lifetime. 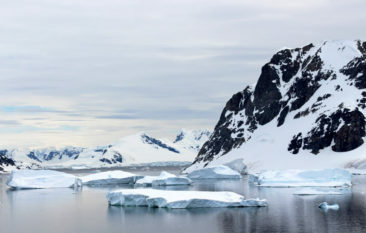 In the meantime, here are a few more pictures of incredible Antarctica. 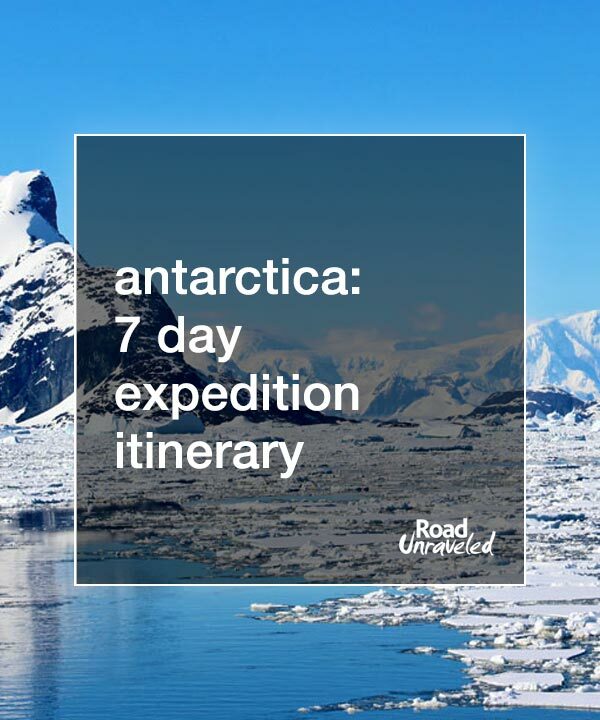 Ready to plan your Antarctica adventure? Here are a few more posts to help you get started!